Get into the Christmas spirit and learn more about the architecture, neighborhoods and people who settled in our community. 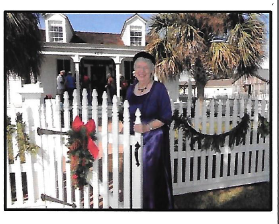 Docents, in historical dress, provide details on the families, heritage, art and furnishings of each venue. Tickets are $15 for one or two for $25. Available on our website through PayPal or can be purchased at the door of each home. The Airstream Retreat - 108 N 2nd; Fulton Schoolhouse Museum 7th St. in Fulton.